Modern, Captivating and Uniquely Beautiful. 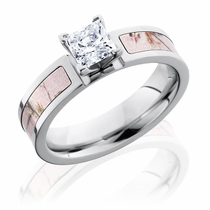 For ladies who want something a bit different, our titanium engagement rings offer the perfect solution! 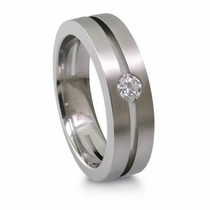 Titanium is an incredibly durable metal that is lightweight. 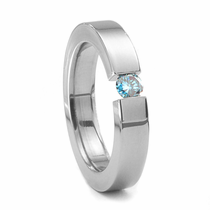 Its unique strength makes titanium a great choice for modern tension set rings - incredible rings that hold the diamond (or other gemstone) with pressure, using no prongs. They have the appearance of "floating diamonds". 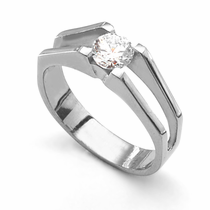 Our most popular titanium engagement ring is the JOLIE, which is available with diamond size ranging from .16ct to .50ct size. 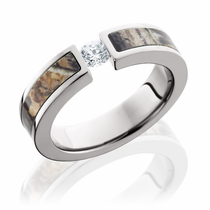 Shopping for a man's ring? 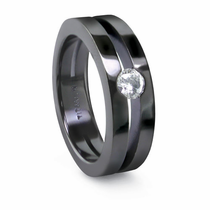 Click here for men's titanium rings. 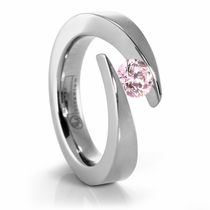 Titanium is a great choice for women who have allergic reactions to nickel and other alloys. Titanium is 100% hypoallergenic and bio-compatible. The metal is incredibly strong - yet light as a feather! 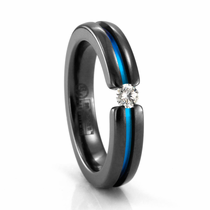 You will never break a ring made from titanium. 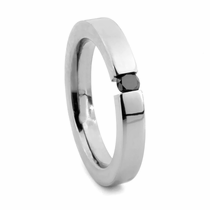 Due to its tensile strength it is perfect for tension set type rings. 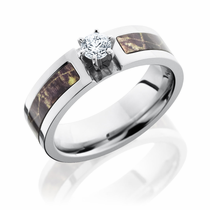 "The ring looks amazing, the picture does not do it justice. The customer service was great, I used the live chat system to check on my order and spoke to someone named Scott, who was extremely helpful." - Kerry Wilson from Monterey, CA. 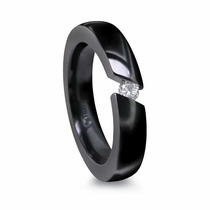 Customer rating for Titanium Engagement Rings by Titanium Jewelry: 5 of 5 based on 42 customer reviews.